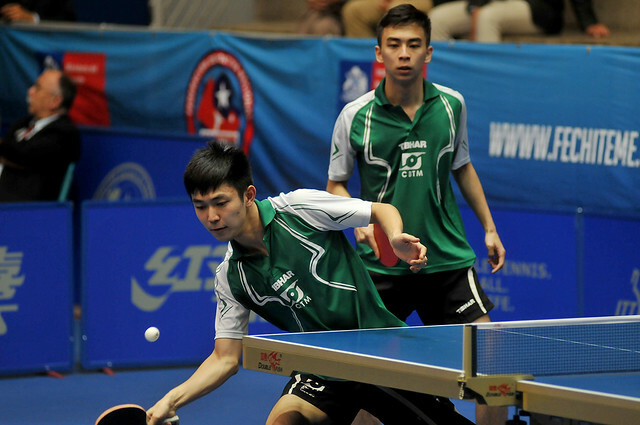 Defying the order of merit, on the first day of play in the Men’s Team event at the Sparta 2018 ITTF Pan American Championships, staged in the Chilean capital city of Santiago, the United States, Cuba and Mexico had caused major upsets. Respectively, the top three seeds, Brazil, the host nation and Argentina had been put to the sword. On the second day of action, Wednesday 21st November, that good form continued; all three outfits maintained their unbeaten records to secure group first places. Represented by Kanak Jha, Nicholas Tio and Nikhil Kumar, the no.9 seeds, the United States beat the no.8 seeds, the Dominican Republic’s Samuel Galvez, Emil Santos and Isaac Vila by three matches to nil. The win meant they reserved first position in the group ahead of Brazil, the top seeds, who had completed their initial phase itinerary on day one. Similarly, Cuba, the no.7 seeds, maintained their unbeaten run. Once again Jorge Campos, Livan Martinez and Andy Pereira emerged a trio in form. They recorded a three-nil win in opposition to the no.10 seeds, Guatemala’s Hector Gatica, Kevin Montufar and Heber Moscoso. Impressive from Cuba, in the corresponding group contest, it was equally impressive from Chile, the no.2 seeds. Selecting Gustavo Gomez, Juan Lamadrid and Felipe Olivares, they overcame, the no.15 seeds, Bolivia’s Diego Avila, Franco Gareca and Fernando Arnez Ortuzte by three matches to nil. The win secured second position in the group. Similarly, Argentina, the no.3 seeds, concluded matters in second position in their group. Selecting Gaston Alto, Horacio Cifuentes and Nicolas Galvano, a three-nil win was posted against Uruguay’s Santiago Bernandez, Pablo Palou and Facundo Rodriguez. Meanwhile, in the same group, the no.6 seeds, Mexico with Dario Arce, Marcos Madrid and Ricardo Villa maintained their unbeaten record to secure first place but not without some moments of alarm. They were extended the full five match distance by Ecuador’s Alberto Miño, Emiliano Riofrio and Pablo Vanegas. Mainstay if the Mexican success, as so many times in the past was Marcos Madrid. He beat both Pablo Vanegas (11-3, 11-3, 11-5) and Emiliano Riofrio (11-5, 8-11, 11-2, 11-9); hero of the hour was Dario Arce, in the vital fifth match of the engagement, he accounted for Pablo Vanegas (11-4, 12-10, 11-3). At the quarter-final stage, the United States meets Argentina, Chile confronts Puerto Rico; in the opposite half of the draw, Mexico confronts Paraguay, Cuba faces Brazil. The fixtures will be played later in the day in the evening session of play.